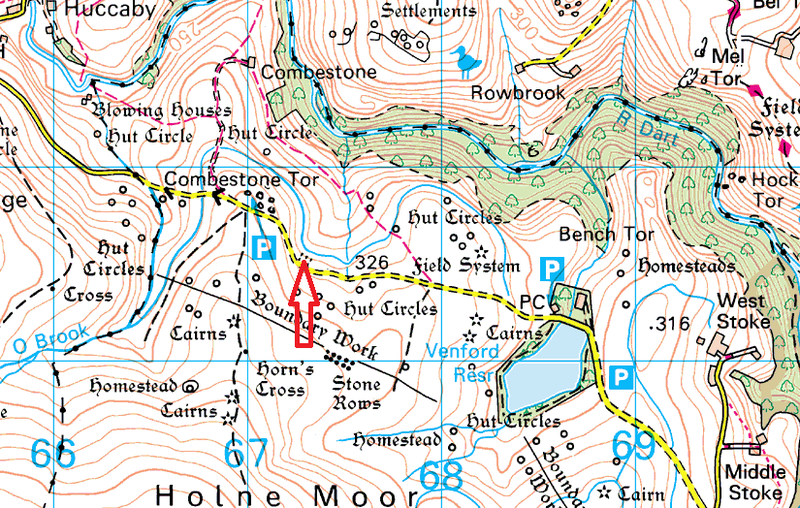 This is a place on the road between Holne and Hexworthy, to the right of the road by a fence sits some tinners workings and a few trees. The story goes that a poor farmer who, with his wife, scratched a living on Dartmoor, rearing sheep and cattle. One day he took his best cattle to market and his luck was in, he sold them for a very good price and celebrated in the nearby inn. With a 10 mile walk back to the farm he left around mid afternoon. A gypsy saw him leaving looking quite drunk and offered him his horse for a good price. The farmer took the offer handing over all his money for this prized animal. 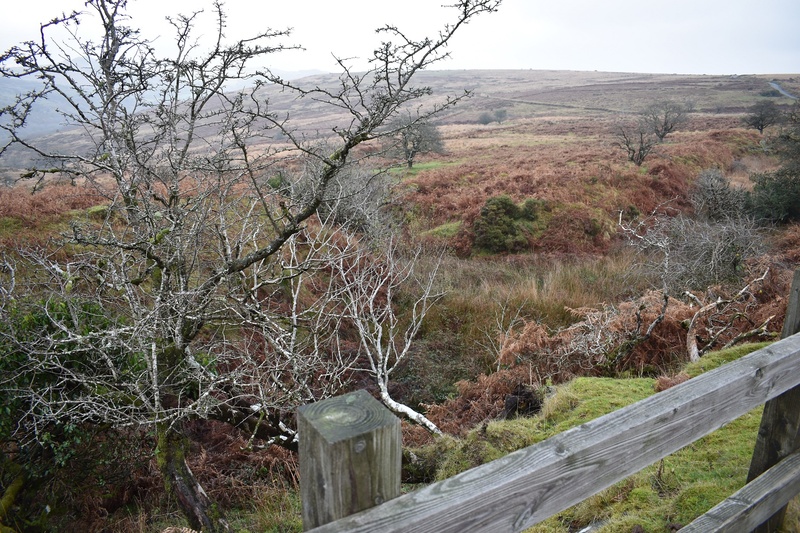 After half the distance, the horse would walk no more, the farmer now nearly sober, realised his error and was horrified to find that he had no money to see his family and farm through a Dartmoor winter. On reaching the spot he took off the horse’s bridle and let it loose on the moor, he took the bridle and hung himself from a tree at this spot. Tinners found his body the next day and its is said in the night it is possible to here his body creaking from trees as it moves in the wind.